THE Nuclear Education Trust has today published its report into the Trident Alternatives Review and the future of Barrow. The report makes a case for the publication of the Lib Dem-led review into alternatives to “like-for-like” replacement of the Trident nuclear weapons system. 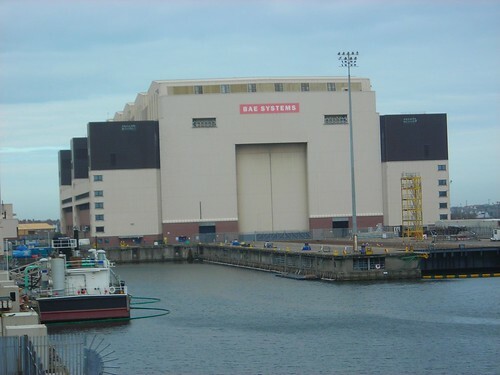 It also concluded that while Barrow is heavily dependent on BAE Systems as an employer, the economic impact of an option other than like-for-like replacement is not ‘a “binary” choice between 6,000 employed or none’. The report recommends that the government should ‘take a number of steps now to support a fragile economy’. Reducing Barrow’s dependence on BAE Systems (and thus the need for Trident replacement) could be achieved through a range of investment, regeneration and diversification mechanisms, the report argues. This could include investment from the Energy Coast Initiative, creation of an Enterprise Zone for Barrow and transitional funding from European Structural Funds, as well as support towards industrial diversification. The report also suggested an investment of £100m be made in Barrow if there is no like-for-like replacement of the Trident system. The Nuclear Education Trust therefore commissioned its research and a survey to examine in detail the alternatives proposed by the Trident Alternatives Review (TAR) and their implications for Barrow. Barrow and Furness MP John Woodcock said: “There are some valuable recommendations to diversify Barrow’s economy in this report, particular the call for the area to become eligible for energy coast support from which it is currently unfairly excluded. “But a drive to broaden Barrow’s economic base should be done on the foundation of a thriving shipyard, not as an inadequate replacement for submarine jobs. This entry was posted in UK Submarines and tagged Barrow, Submarines, Trident on December 16, 2012 by jasonlockley.